There was a lot going on in the middle of the last century’s final decade. Independent cinema was flourishing, classic alternative music as well as seminal hip hop was being created, the dawn of the internet (including AICN) was gaining momentum, and a culture of lifestyle liberalism was emerging as a reaction to the conservative 80s. Kids growing up during this time had an abundance of incredible cultural fodder from which to form their own evolving personas. 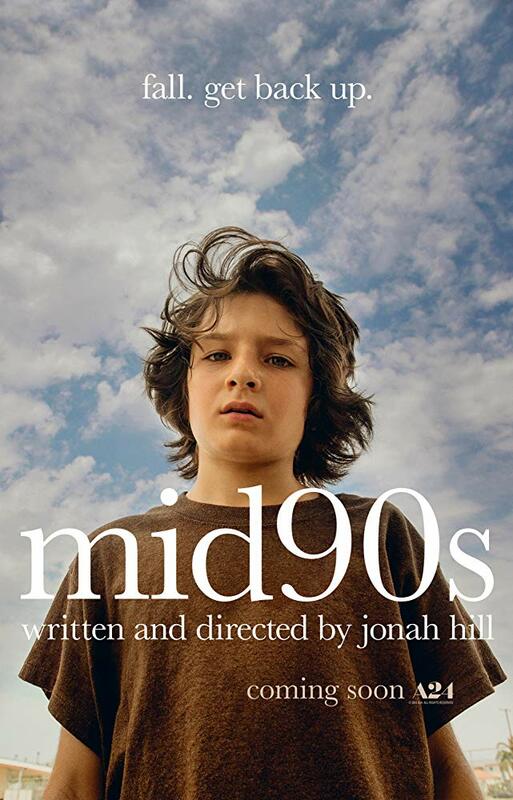 Jonah Hill’s directorial debut MID90S is a snapshot of a young teen’s indoctrination into yet another prominent movement of the time- the booming L.A. skate culture- which provides a colorful backdrop for a poignant coming of age story. As with many coming of age stories, the plot is meandering- which totally works in this instance. It’s a delight to witness Stevie as he navigates new friendships and more grown up experiences. Though he’s still very much a kid, witnessing him being immersed in untried independence rings true for many of us who went through our own versions of social acceptance. Of course Stevie’s life isn’t all fun and games as we also get to see him stumble and fumble his way through more difficult situations as well. As Stevie, Sunny Suljic imbues his character with equal parts wide-eyed awe and determination. As a prepubescent, he still qualifies as childlike cute which also helps to illustrate that Stevie doesn’t quite yet understand some of the consequences of his new autonomy. Suljic deftly handles the complexity of his character’s gradual and sometimes painful transition from childhood to maturity while being thoroughly likable along the way. With terrific turns in THE KILLING OF A SACRED DEER, HE WON'T GET FAR ON FOOT, THE HOUSE WITH THE CLOCK IN ITS WALLS, and now MID90S, Suljic already has a career many actors would envy and I can't wait to see what he turns up in next. Katherine Waterston and Lucas Hedges as Stevie’s mom and brother, respectively, are unfortunately woefully underused in the film. Though I fully understand that the film’s focus is the young protagonist and his buddies, I found myself waiting for and wanting more from the wonderful actors portraying Stevie’s home base. While Waterston at least had a few moments to shine, I am struggling to recall if Hedges uttered even one word in the film. I get that his glowering older brother character may be a man of few words, but it just seemed like such a waste for one of my new favorite actors. The real stars of the film, however, can be found in the cast of little knowns/unknowns that portray Stevie’s new squad. Much like films such as THE FLORIDA PROJECT and AMERICAN HONEY that took first time actors and made them the central characters, Hill’s choice to feature new talent is a total winner in MID90S. Na-Kel Smith, Olan Prenatt, Ryder McLaughlin, and Gio Galecia not only add authenticity to the film, they also surprise with beautifully heartfelt and humorous performances that really make the whole film hum. Overall Hill’s directorial debut is solid. It is funny, heartwarming, and has all the bells and whistles of a great coming of age tale without taking it too seriously. Those expecting Hill to follow in the comedic footsteps of frequent collaborators Judd Apatow or Seth Rogan will be pleasantly surprised to see the filmmaker going his own way with a really beautiful and timeless love letter to a specific beloved era. 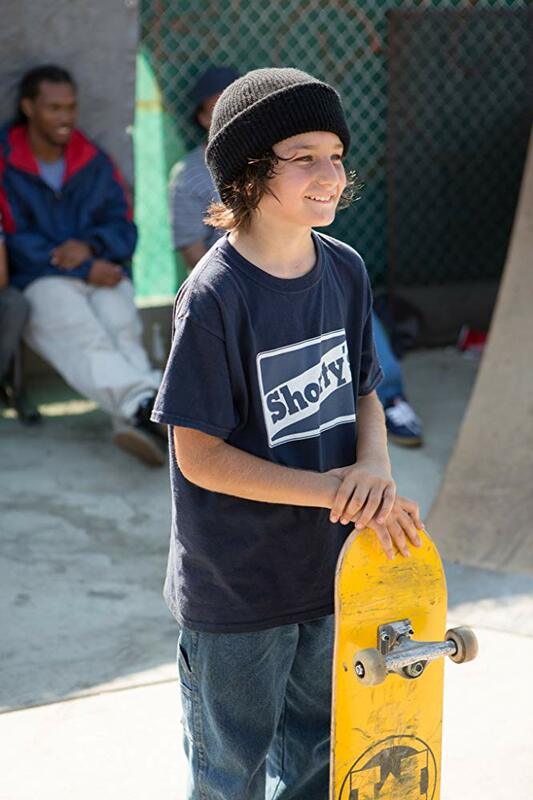 MID90S opens in theaters 10/19. Thanks for reading!